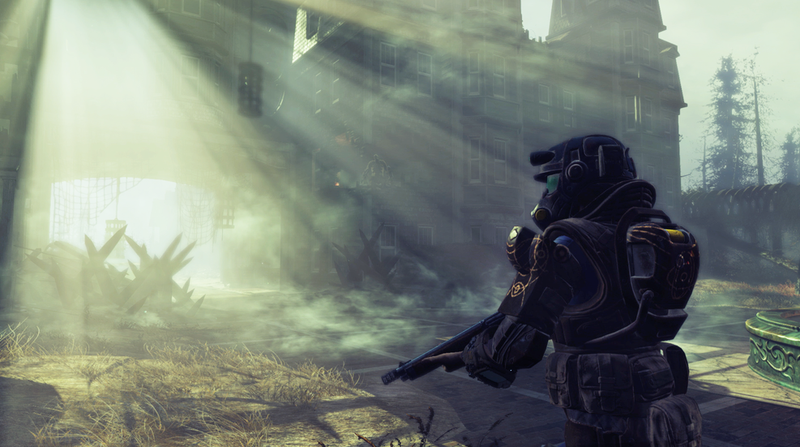 For a while now, some lucky Fallout 4 players have been able to play unreleased DLC as a part of a closed beta held by Bethesda. Anyone participating in these tests is technically under a non-disclosure agreement. Things haven’t really been working out that way, though. From the very first Automatron DLC beta back in March, spoilers for unreleased additions to Fallout 4 floated around the web sometimes weeks in advance from the actual release. For the most part, this was never a big deal: the DLC released thus far hasn’t been particularly story heavy, with most of the additions being purely mechanical. Anyone that stumbled on a “leak” didn’t really have a reason to get upset. Far Harbor, however, is more of a story-oriented DLC in that it asks you to take on a new case with your old detective pal, Nick Valentine. This in turn makes spoilers for Far Harbour more of a serious deal—and boy, have the spoilers been out in full force lately. Screenshots purporting to show shocking twists made their way onto websites like 4chan and Reddit, and then trickled down to websites like YouTube. Some players appeared to be trolling, much in the same way some players went around spoiling Fallout 4's ending back in 2015. Other players, amusingly enough, were breaking NDA to assure others that Bethesda had fixed many of problems that plagued Fallout 4, especially when it came to implementing strong RPG elements. One of the screenshots, which now appear to be wiped from file hosting site imgur, showed “skill checks”—a mechanic that was largely absent from vanilla Fallout 4. Another screenshot included a Harpoon Gun, which Bethesda had cut from main game, as well as a new vault. We haven’t played Far Harbor and can’t confirm any of these details, but it is yet another instance where players are influencing the narrative around a release before the developer itself actually can. In this case, what players are saying is actually positive, however. But the biggest leak to hit the Far Harbor beta was, well, the entire DLC. Not only has Far Harbor already been uploaded to torrent sites, last weekend, one player uploaded the DLC to modding hub Nexus. Just, the entire $24.99 Fallout 4 addition was up for grabs for anyone that found it. While the mod has now been taken down, a cached version of the page tells us that, at minimum, nearly 800 people downloaded it. For the rest of us, Far Harbor releases on May 19th. Hopefully, we won’t get too spoiled on the DLC before then.